These agreements must make clear that the surrogate — or “gestational carrier” in legal nomenclature — will have no parental or visitation rights, unless the intended parents state otherwise. “Most of these contracts are 40 or 50 pages long,” said Fairfax, adding she drafted her first surrogacy contract 17 years ago. The section of these contracts defining key terms, such as “intended parents,” “gestational carrier” and covered medical procedures, can run 10 pages alone, Fairfax said. These gestational carrier contracts also delineate, often redundantly for the sake of certainty, the intended parents’ financial obligations for the surrogate’s medical care as well as their exclusive parental rights upon the child’s birth. “We want to make sure we say the same thing three different ways [so] there is no doubt” the intended parents and surrogate know their rights and responsibilities, Fairfax said. The gestational carrier agreements provide that the intended parents’ financial obligation extends beyond the surrogate’s medical care but also covers ancillary expenses, such as transportation, housekeeping and child care costs incurred during pregnancy, as well as an amount in excess of these out-of-pocket costs. This excess payment, while not labeled a fee for service, generally runs between $22,000 and $35,000, Fairfax said. The contract, while defining the duties of the intended parents toward the surrogate, does not confer them parental rights. The intended parents must get a court order attesting that they are the child’s parents. To this end, Fairfax said she will file with the circuit court on behalf of the intended parents a petition for parentage, with the gestational carrier contract attached as well as a signed acknowledgment from all parties confirming the agreement under penalty of perjury. The circuit courts generally issue the order stating the intended parent are the parents, with all rights and responsibilities that follow, upon the child’s birth, Fairfax said. The judge, however, retains discretion to call the parties in for a hearing and to decline to issue an order, Fairfax said, noting that she has never had a judge decline. While Maryland has no law specifically addressing gestational carrier agreements, their legality has been tacitly approved by Maryland’s top court. In its 2007 In Re: Roberto D.B. decision, the Court of Appeals held 4-3 that the name of the surrogate who was contracted to sustain a pregnancy to term did not have to be listed as the mother on the child’s birth certificate. An effort to pass a law governing the agreements passed the Senate in 2013 but died in the House. Similar legislation failed in the General Assembly this year. 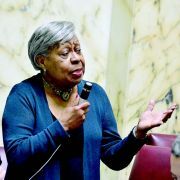 Sen. Delores G. Kelley, chief sponsor of the legislation, said use of gestational carriers is happening “with great frequency” in Maryland. But without a statute and little direction from the court, lawyers, doctors, the intended parents and gestational carriers have had to develop a system of “best practices” to ensure these agreements pass legal muster and protect the child’s best interest, she added. Kelley’s bill, the proposed Maryland Collaborative Reproduction Act, would have required gestational carriers to be at least 21 years old and have given birth to at least one live child. Would-be surrogates also would have been required to undergo a psychological evaluation and be approved by a mental health professional and obstetrician/gynecologist prior to surrogacy. The age, past pregnancy and mental evaluation requirements are designed to ensure a potential surrogate has the maturity and experience to know what to expect and that her doctors can be assured she can carry a pregnancy to term without complications, said Fairfax, the adoption attorney. The legislation would have required each intended parent to be at least 21 years old and pass medical and psychological evaluations in order to proceed with the agreement. The intended parents also would have been required to guarantee payment of the gestational carriers’ “reasonable medical and ancillary expenses,” including attorney’s and ounseling fees, maternity clothes, lost wages, child care, housekeeping, postpartum recovery and travel. The intended parents and gestational carriers would have had to be represented by separate Maryland licensed attorneys in good standing. In addition, the bill would have required the intended parents to “accept legal and physical custody of the child immediately after the child’s birth, regardless of the condition of the child,” including the payment of funeral expenses in the case of a stillbirth. If the intended parents split up before the child’s birth, each parent would remain bound by the gestational-carrier agreement and would retain the rights and responsibilities of parenthood upon the child’s birth. If one of the intended parents dies during gestation, the agreement remains in effect and the survivor would become parent to the child. 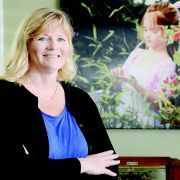 Fairfax voiced dismay that Maryland remains without a gestational-agreement law. “We really need to have a statute, because that’s what ultimately protects these kids,” she said. Reprinted with permission from The Daily Record, Maryland Family Law Update, June 2015.